1. 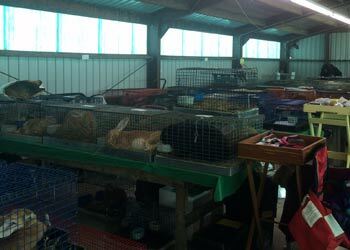 Do I have to be a member / join the ARBA in order to show my rabbits? b. No. However, the benefits of doing so are greatly worth the small fee. 2. How do I become a member of the ARBA? a. Go to the ARBA website (arba.net) & follow the links to join. This can be done online or through the mail. 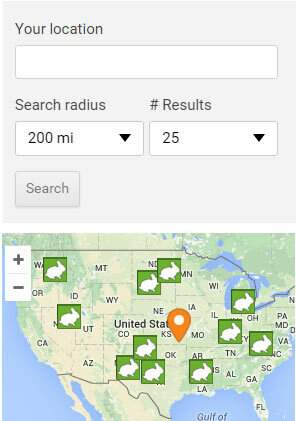 There is a fee; amount depending on type of membership you choose. 3. 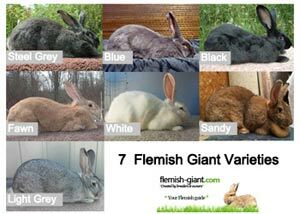 How many Flemish can I take to show? a. There is no maximum amount; you can show 1 or 100, its entirely up to you… & you can show as many breeds as you would like to show, as long as you are capable of getting them all on the show tables as they are called up, because multiple breeds are judged (by different judges) at the same time. 4. Can I help my child show his Giant? a. If your child has entered to show the rabbit in the youth division, there can be no adult assistance. The child must correctly & safely be able to handle & control the Flemish, & put him on the table as well as take him off of the table. If this is not possible, another youth may help your child, or you can enter him/her in the open-class & then you (or another adult) can help him/her. a. A pedigree is a written paper that shows a chart listing information about a particular rabbit. This information needs to include the rabbit’s name, the name of the breeder (or the breeders’ rabbitry name), the ear number, color, weight, date of birth, & the amount of ‘Legs’ (show wins), plus if applicable, his registration number & grand champion number. Past this, the same information should be listed for both of the 4 parents, & the 8 grand-parents (a minimum of full 3-generations). 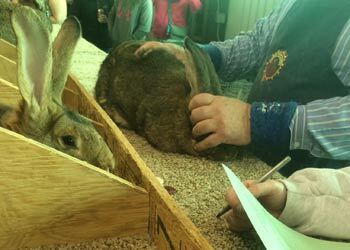 It should also include your name or the name of that particular rabbits’ original breeder, their full address, & hand-written signature – which verifies knowledge to the correctness of the information stated. 6. Should I offer a pedigree with the giants that I sell as Pets? a. No. A pedigree should only be given when the animal meets the guidelines in the Standard Of Perfection (be it ARBA or BRC version) & is being sold as a show quality or breeding quality Flemish. More often than not, those sold as pets do not meet or have not been checked for standards, or are otherwise deemed not of pedigree quality. Such rabbits could also have a permanent tattoo placed in the rabbits left ear (the ear on your right if you are looking him in the face) that specifically states “PET” (example: PET-Fuzzy). This is done to prevent any future owners of that rabbit from creating their own pedigree for breeding or showing purposes.